Needless to say, this tour was insane... This was the tour where EVERYTHING happened, and all at once... Enjoy this little souvenir from our few weeks in hell (for losing a dear friend) or heaven (regarding feeling supported from our fans - thank you - we wouldn't be here without you damn it!). 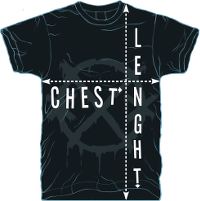 It's highly unlikely that we'll re-print this one so get one while you can! Very cool shirt. Fast shipping ! Thank you. Color purple is very coool !! 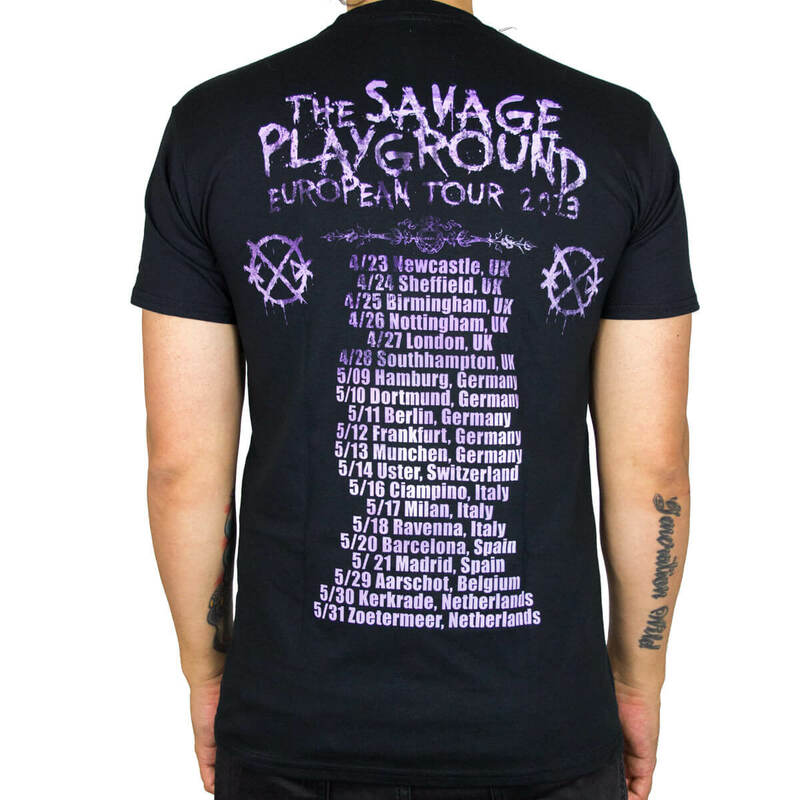 "The Savage Playground" European Tour data in the back print many . I'd like to re-set the JAPAN Tour ,Pleeeease !! 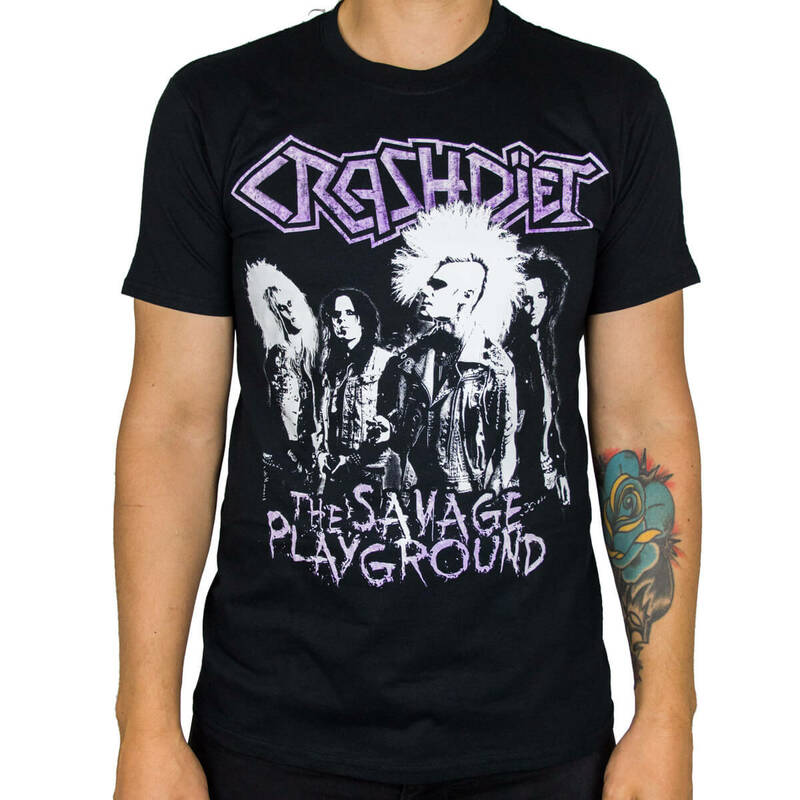 awesome T-shirt! Fått många komplimanger för trycket och älskar trycket lika mycket själv :) Tröjan kom hem väldigt fort och hade inga problem överhuvudtaget i posten! Shirt is awesome! The purple looks great and the graphics are very cool. I will be buying more shirts for sure!